The construction industry turnover rate is one of the most pressing issues facing the construction industry. About 65 percent of small construction contractors report having trouble finding skilled workers, according to the Commercial Construction Index from the USG Corporation and the U.S. Chamber of Commerce. As your construction business shifts into fall and winter jobs, you may experience the struggle firsthand. During changes in peak season, the construction industry turnover rate is traditionally higher than normal. In many cases, employees were hired for spring and summer jobs — and they may not be planning to stick around through the fall and winter. For instance, if you hired college students in the spring to help complete the work on your warm weather projects, those students may have returned to classes this fall and left their construction jobs behind, even though you could still use their help. As the seasons change and turnover increases, it’s an important time to make some strategic decisions to keep your construction company performing at its peak. That may mean finding ways to retain the workers you have, reconsidering your workload and schedule, or adjusting your budget to invest in new workers or equipment to replace workers that are moving on. If you have enough employees at the moment but you expect your workforce to shrink as the season changes, think about ways to keep the workers you have, rather than having to reduce your workload or hire new employees. One way to keep them may be to offer flexible or part-time scheduling. For instance, college students who returned to school may be willing to schedule their winter classes in the afternoons and work for you in the mornings, or schedule classes only on Tuesdays and Thursdays and come to work the other days. If you’re willing to offer flexible scheduling, communicate that to your employees and together, on an individual basis, you may be able to find an option that works. Another way to keep your workers loyal is to provide them with a clear career path. Most employees want opportunities for career advancement and to feel that they have a future with the organization. Even if your construction business is small and doesn’t offer a clear pathway from being a laborer to becoming a manager or supervisor, be open about plans for the future. Share your plans for the fall and winter and communicate with workers about upcoming projects so they understand their positions are still needed beyond the warm weather months. Also communicate opportunities for personal development, training, promotion or higher wages to show you care about your employees’ advancement. If you think the construction industry turnover rate will keep you from fulfilling your project commitments in the upcoming months, redesign your strategy. Hopefully, you won’t have to turn down any projects, but you may have to renegotiate the timelines. 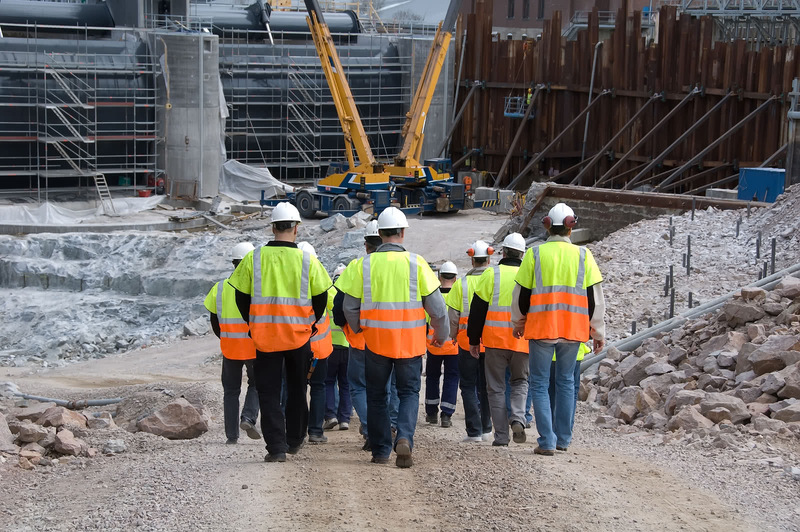 For example, instead of completing a few projects at the same time with different crews, you may need to spread the jobs throughout the month and complete them consecutively, with just one crew. Be open with your clients about your labor shortage and your need for extra time to get the jobs done right. Your clients should understand and appreciate your openness. If you just can’t hold on to your current workers during the seasonal change or believe it will be challenging to complete projects, you may need to make some strategic budgetary decisions. Creating room in your budget for hiring new workers or investing in equipment may be necessary to keep your company fully staffed and able to fulfill its commitments. Revisit your budget to see if there are areas where you can cut back on existing expenses to account for these new costs. If you’re not able to accommodate the cut-back this time around, planning it into next year’s budget will leave you prepared, and potentially help to resolve the issue before it becomes a problem. If you don’t have room in your budget, consider financing options to help get you through the seasonal change and still remain at top performance. For instance, if you’ll need to recruit new employees, a construction business loan can be used for hiring new workers. These loans are flexible — in addition to hiring, you also have the freedom to use these loans for bidding for larger or more lucrative jobs, paying off or consolidating high-interest debt obligations or purchasing new or used equipment. In some cases, a new tool or piece of equipment can make it possible for one worker to perform a job that once would have required two or three workers. If you’re dealing with a labor shortage, investing in new, automated tools or equipment through construction equipment financing may be the ideal approach for getting projects completed without having to hire more workers. Plus, the Section 179 tax deduction will let you deduct the entire cost of the purchase along with borrowing costs within the first year. Although borrowing money now to hire more staff or purchase new equipment will cost you some interest payments and financing fees, choosing not to do anything will cost you the loss of current and future opportunities. Rather than turning down work now and in the future, because you don’t have the staff or equipment to complete the jobs, it may be wiser to invest in your business in order to build a stronger future for your company and your employees. With a cash infusion, your business will be ready to roll forward into the cooler months because you’ll have the ability to attract more workers and purchase the equipment you need to fulfill — or pursue — more project commitments. Although the construction industry turnover rate may be one of the most challenging issues facing the industry; it doesn’t mean your business can’t overcome it. Conquering the issue starts with an attitude of willingness to make changes and an honest look at your staff, your schedule and your budget.